Every year I go on several trips to seminars that are usually three – four days each. This year they arrived all at once. One of them I was supposed to go on last year, but my body had other plans (back surgery) and so I was unable to attend. So they transferred me to this event. The second one is part of the coaching plan I am on and I wasn’t able to travel yet with the event last year (on restrictions from said back surgery) and the third event is an annual American Indian Retreat I do every year. Sometimes, it’s the journey that teaches you a lot about your destination. I go on these journey’s each year to recharge my batteries. To open my mind to new learning. To get away from the everyday life, so I can relax and let come in from the divine the messages I am too busy to hear when I am involved with a fulltime job at the bank as well as running my LemonadeMakers page. When I am out of my element, I see things I am missing at home. I meet new people since I go to most of these events by myself. I get to travel and see what in my life needs to change. So no surprise, with attending a four day event (Thursday – Sunday) three weekends in a row in three different states, I woke up to some things in my life. I have always loved trees. It has always seemed to me that they talk to me. They are so relaxed and go with whatever mother nature sends their way. They connect to other trees through the root systems and even send nutrients to other trees far away that need them. Some of the recent scientific studies show they actually create community and support each other. Every home we have purchased it was because of the trees on the property, not the houses that I fell in love with. So imagine my surprise when I realized that lately trees haven’t been talking to me, water has. The best journeys answer questions that in the beginning you didn’t even think to ask. When I was at my first event outside of Albuquerque, New Mexico at Tamaya, located on a Pueblo Indian Reservation, they had strong winds blowing. I had opened the door to my hotel room and was listening to the wind, rain and thunder storm. When I closed my eyes and listened I heard the sound not of the wind, but of strong waves breaking against the seashore. When I flew into Phoenix for my next event, the winds were blowing and I still heard the ocean in the air. At Joshua Tree in California, I spoke to Chief Roberts and his wife Terri about how I was hearing the ocean everywhere I went. I knew water was calling but I didn’t know why. As one of our outdoor activities we were to walk a labyrinth. As I walked it I was looking down at the rocks that outlined the path. All different kinds of rocks, different minerals and crystals in them. All shapes. They spoke to me about water. How it had loosened them from the soil. How it had carved and shaped them transforming them, exposing them to the elements and revealing what they were deep inside. How sometimes the changes happened rapidly like a landslide and other times it was slowly drip by drip that changed occurred. Even in my planning for where we are going to live when I retire, water has been showing up. First as I wanted to live in Northern Oregon or Southern Washington along the coast next to the ocean. Then my son sent me a property listing outside of Astoria Oregon on the John Day river for a houseboat. It was like water was saying, if you don’t want the ocean, how about living on the river? I felt like the mom in the kitchen making dinner and my three year old kept grabbing my pant leg, saying “mommy, mommy” over and over. And I kept saying, in a minute, I’m really busy right now. Water was not letting me get away. It just kept trying to get my attention. Your journey in life is not set in stone, you can change direction. As I traveled round and round the labyrinth I started thinking about when water had started talking to me. How had it been showing up in my life? This winter has been the wettest winter since we have been living in California – the amount of water this season has been comparable to all the water we have gotten the last 10 years or so combined. My patio kept getting flooded over and over again. Then I thought about how we just redid the logo and website and Facebook page design and it has the ocean with breaking waves on it, whereas before it was the trees in the forest. Then I thought about the webinar video I created and again it was about “Catching The Perfect Wave”. Even right now with my remodeling of the bathroom I just discovered that I have to replace all of the drainage pipes as they used cast iron when the house was built and they are all damaged with rust and corrosion. In a recent deep meditation class I asked my intuition what I needed to know. I am very visual and it showed me this vision in which I had already given birth and was now expelling the afterbirth. Childbirth has a lot to do with water – LOL. When I looked up the meaning behind this it validated my thoughts that I am in the middle of a big life transition. I have been told for the past 6 months that I am probably going to be laid off from work. I have been preparing for this liquidating our other properties we own, paying off debt and getting everything ready for the possibility. I think that this is why water is showing up for me, Big changes are coming. Everyone I was talking to at all three events were experiencing big changes in their lives. They were all in the midst of some transition in their lives. 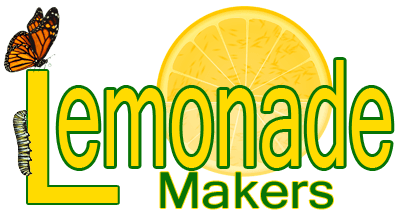 I am taking a leap of faith in my own transition that it is time for me to devote full time to LemonadeMakers. To finish the online courses I am writing. To find a new publisher for my first three books, that I had ready to print when the company that was doing it sent me an email that they shut their doors. To begin coaching life transformation full time, instead of part time. This is a big risk as I have never been self employed. It is a big risk, because I have no idea where this journey will take me. I just know that water says I have to go. No one knows what changes, big or small, lie ahead. One thing is certain, our journey’s not over. Enjoy each and every step. So my question for you is this – what is trying to get your attention? What are you ignoring because you are so busy doing, that you are forgetting to take the time to listen? Take the time to look behind you for signs. Listen to what keeps occurring in your life. See the doors that you walked past not realizing they were there. Realize that you are probably in the midst of a transition yourself. Be brave. Go someplace even if it is simply a walk in the woods and get away from the everyday part of your life. Ask yourself what do I need to know for the next part of my journey. Come attend our next webinar and explore what we have to offer to take you to a new level of self transformation. Click on the link below to learn more about our next webinar to “Catch the Perfect Wave”.